Led Zeppelin is now on Spotify. And word on the street is that Jimmy Page and Robert Plant get their daily fix of employment-law blog snark from yours truly. 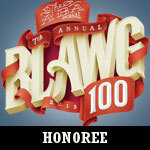 So, if you dig The Employer Handbook too, how about you vote for it in ABA Journal’s Blawg 100 Amici contest. You can do that by clicking here, the banner to the right, or by tweeting your support. The December 2013 version introduced in the Senate is basically the same as the House version from earlier this year. However, earlier this year, a Maryland federal court dismissed that suit, concluding that the EEOC had failed to demonstrate that credit checks have a disparate impact on minorities. Indeed, employers credit check only for positions for financial responsibility is paramount or those involving access to confidential information. A SHRM survey from last year indicated that poor credit history is not a barrier to hiring.